Crate + More live on stage! Ready to rock! The manic sounds of the punkband More will have you screaming for more! 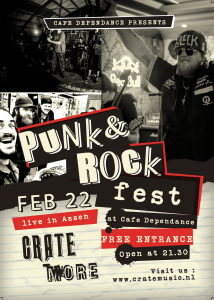 After that Crate will rock your socks off with their original songs, and punkified covers!